"Grrrrrrrrrr," says a chorus of young voices, followed by a burst of laughter. On the screen is a smiling man cheerily reading out a story about a lonely bear who loses his growl and finds it again. The children are from the on-campus crèche Dolna, and the man on the screen is Rob Biddulph, an award-winning children's story book writer from the UK. This summer, Dolna has organised an innovative new activity for the children in the form of a live book-reading session via video conferencing. This interactive session began with a 'how to draw a bear' tutorial, followed by the book reading and ended with a 'loudest growl' competition - every minute of which the children enjoyed. For a scientist who is also a parent, the comfort of a crèche within the premises of the research campus is a cherished asset. 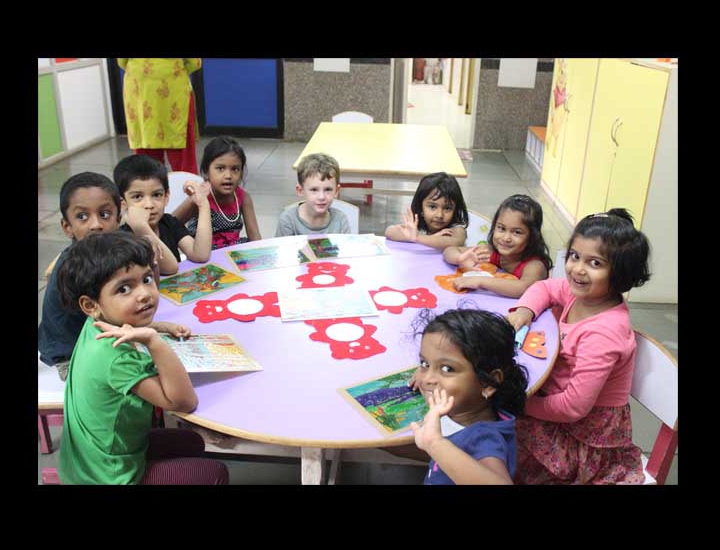 On our campus, Dolna the crèche provides these much appreciated child-care services to the employees at the Bangalore Life Science Cluster. The crèche is named after the Bengali word for 'hammock' or 'swing', and also refers to the lulling to-and-fro motion used to rock babies to sleep. 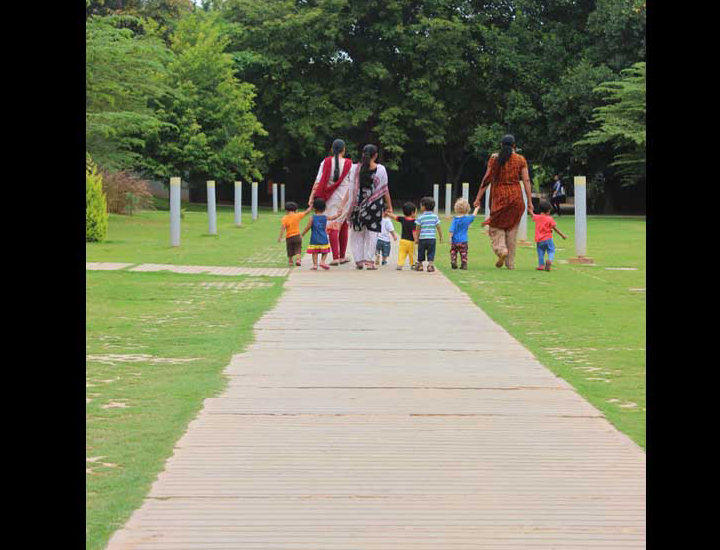 We meet the Dolna team - S. Bhuvana, Kalyani, Theja Prakash and Parvathi Thangam - for a talk about the campus crèche. 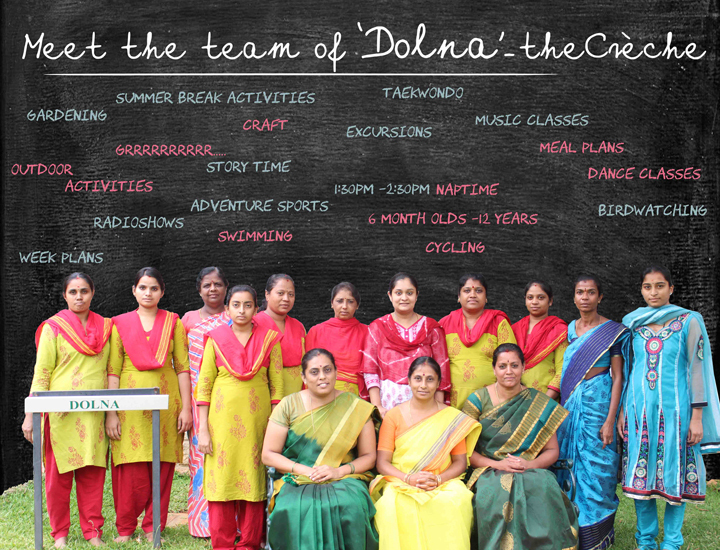 Bhuvana is the crèche manager, and has been with Dolna for 2 years. Kalyani, Theja Prakash and Parvathi Thangam are teachers at Dolna, who have been working here for thirteen, seven and five years respectively. Bhuvana: We currently have around 68 children ranging in age from 6 month-old babies to 12-year olds. We take care of 18 babies, these are children between the ages of 6 months and 2 years; around 30 toddlers between the ages of 2 and 5; and 20 'almost grownups' above the age of 6. Bhuvana: A typical day during the summer holidays at Dolna starts at 8:30 am and ends at 6:30 pm. Most of our children are in by 10:00 am, so we begin the day's activities then - swimming for the toddlers and cycling or gardening for the older children. This is followed by lunch from 12:30 till 1:30 pm, after which most of the children sleep from 2:00 till 3:30 pm. For the active ones who do not want to sleep or have short naps, we have small craft projects to keep them occupied. Nap time is also when the Dolna staff prepare snacks for the children - we pay a lot of attention to nutrition, and try to make combinations that are not only appealing to the children, but also healthy. After snacks at around 4:30 pm, we begin the evening activities with after-school classes like singing, dancing and taek-wondo for interested children. 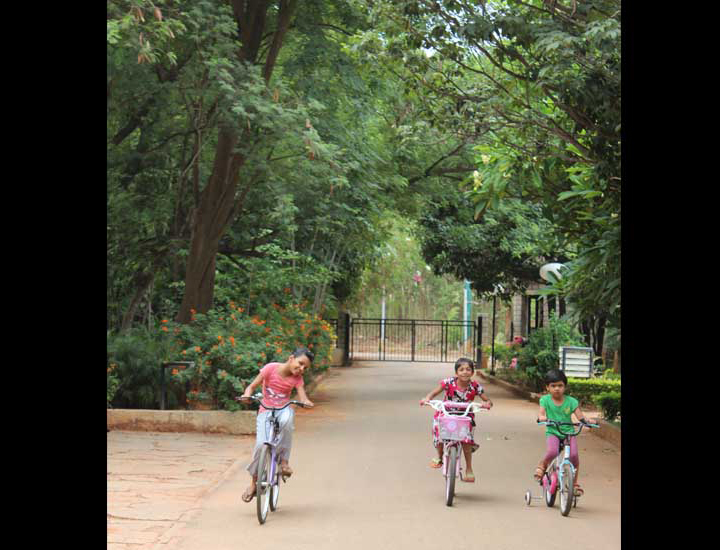 The toddlers go out cycling, walking or play sports on the lawns till 5:30 pm or till they go home. 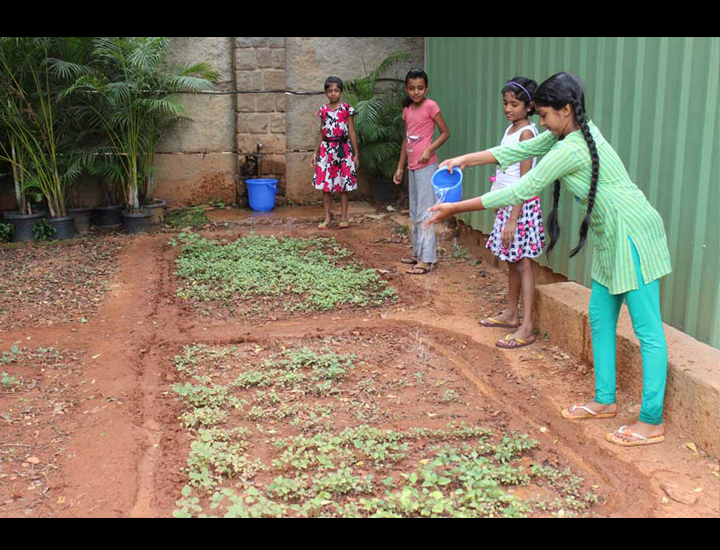 Bhuvana: The summer holidays are a great opportunity for the children to enjoy a range of different activities. Every Monday, during summer, we plan day-trips or field trips to places of interest. We have taken the children to zoos, museums, indoor play areas and nature parks. One of our more interesting excursions included a visit to the radio station. Fever 104 fm channel held a camp last year during the summer break, and our crèche children participated in it. Their recordings were also put on air! Another summer activity that met with big success was the 'Adventure sports' session that was conducted on campus. This was introduced last year, and was such a big hit that we arranged for it again this year. The children were treated to zipline rides between trees, taught target shooting, and spent the day playing at having 'adventures' in a big tent pitched on the lawns. Bhuvana: Live book readings - we had two live book-reading sessions via Skype! The story teller, Rob Biddulph, was introduced to us by Fran and Richard Morris, whose children attend Dolna. Richard is a post-doctoral Fellow at the Simons Centre. 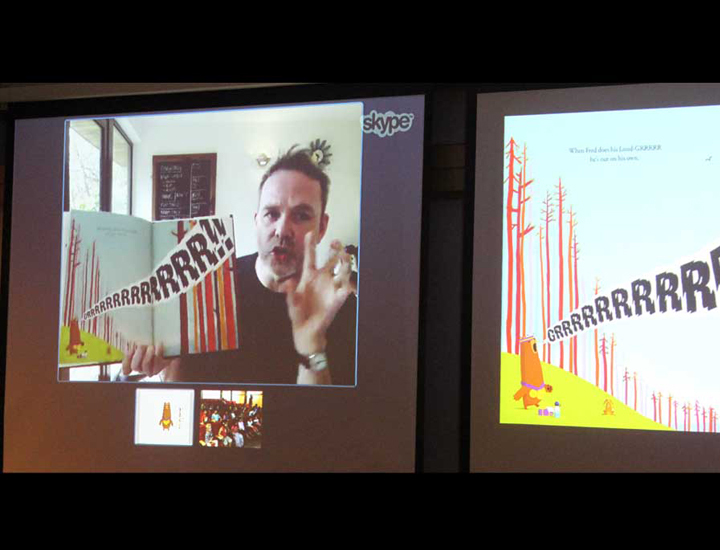 Rob, who is a children's book author from the UK, very kindly sent us two of his books, and agreed to read them aloud to the children through a video conference. The Skype session was arranged by Dolna with technical support from the instrumentation team, and the sessions were an instant success! The children really enjoyed the book readings. Bhuvana: Taking care of somebody else's child is a difficult job. We have a really dedicated group of care-givers and teachers at Dolna, whom I find are very committed. However, talking to them, letting them know that they are appreciated, and that their concerns will be heard and dealt with carefully is really the key. This has gone a long way in motivating the staff and keeping them happy. Another reason is that the crèche committee here has been incredibly supportive of my ideas. In the past year, we've grown and developed so much that we have had visits from various institutes who want to model their crèche systems on Dolna. Amongst the teams who visited were those from IISER (Indian Institute of Science Education and Research) Mohali; IISc (Indian Institute of Science); ICTS - International Centre for Theoretical Sciences; and NIG (National Institute of Genetics), Japan. Knowing that Dolna is being looked at as a model crèche makes me proud and my work here feels more special.